But just how real is it? Along with the jetpack, the hoverboard is one of those gadgets that immediately spring to mind when you try to envisage the world of the future. We've been waiting a long time for one and no one's quite got it right (though people are getting closer). Well, hang on to your hat: the latest clip in Lexus' Amazing In Motion series of promos shows off what the luxury car company is calling "a real, rideable hoverboard" - and there's video evidence to prove it. Sort of. "This time, we've challenged ourselves more than ever, in order to create something unique," says Lexus. "The Lexus hoverboard represents true engineering innovation, and over the coming weeks we'll be bringing you regular updates on the progress of this extraordinary project." 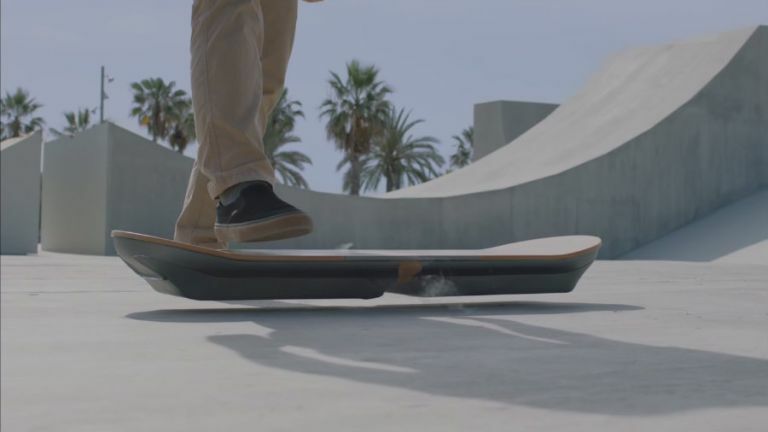 Real-life hoverboard technology at last? Or a clever marketing stunt by Lexus that taps into our collective love for Back to the Future? It looks too good to be true but Lexus isn't short of engineering talent and might have something special to show off, even if it's not quite a fully working or fully realised product yet. According to Gizmodo, the board uses liquid nitrogen cooled superconductors and permanent magnets to take the weight of a rider, which is what causes the lines of smoke you can see in the video clip. Has Lexus cracked hoverboard technology at last? We'll have to wait and see.